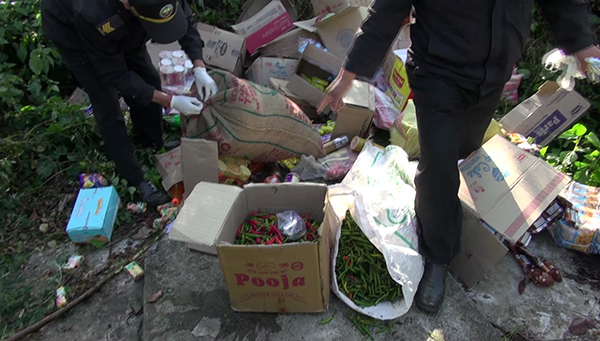 Tsirang’s Bhutan Agriculture and Food Regulatory Authority (BAFRA) disposed grocery items amounting to Nu 43000 and 43 kilograms of imported chilies, today. The goods were past expiration dates and unfit for consumption, the officials said. BAFRA had seized the outdated products from shops under 12 gewogs in Tsirang during their inspection. The shopkeepers were let go without penalty. The chilies, the officials found, were imported from towns in India, Bhutan has banned import from. Bhutan has banned import of green chilies from some Indian towns after tests revealed high level of pesticide in July, this year.